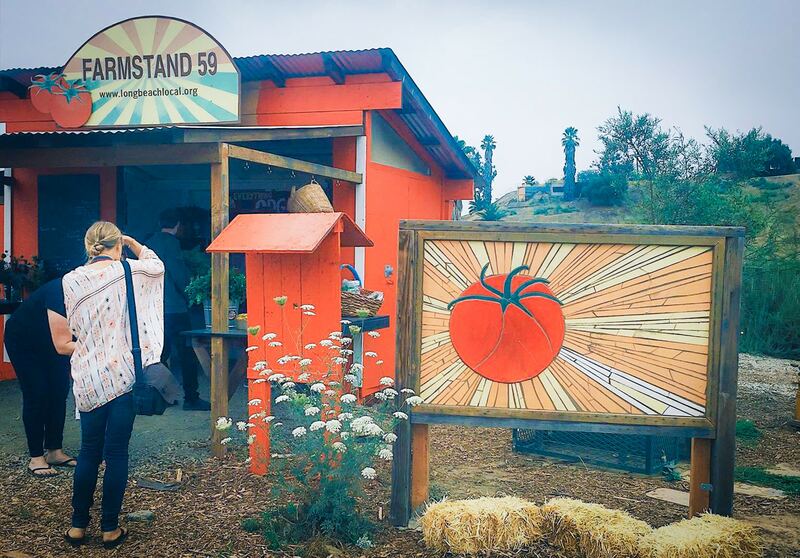 Farm Stand 59. Photo courtesy of Racquel Mishel Baronio. Still, all this doesn’t deter Kanno’s dedication to all things earthy. She has always had a deep connection to the soil and what it can bring about. In a continually booming urban landscape that often exchanges concrete for earth, the importance of reconnecting people to produce, straight from its source, is important to Kanno, and Farm Lot 59 has proven effective: from local chefs vying for her produce to sparking an urban farming craze across the city, her influence is felt far and wide. And even more, it’s important for sustainability. After all, we have some seven-and-a-half billion stomachs to fill daily on our planet and being able to do that exerts a heavy price on the planet. With excess water consumption, pollution, land destruction, energy loss and all the other end-times-type things that mass agriculture contributes to, we need a way to produce our food as local as possible. The proliferation of urban farms is some fad mislabeled as hippie culture; it is a solution to the aforementioned problems: adding greenery to cities, they increase shading, cool our environment and reduce harmful runoff as well as provide communal benefits. In fact, a 2016 study showed that urban farms in North America and Western Europe not only increase healthy, active work for city dwellers, they prove a fascinating point about human psychology: The experience of growing food is correlated with its consumption, meaning that the more people experience growing food, the more likely they are to eat it. From 2008 and for two years following, Kanno held an active community garden in the Wrigley area of Long Beach and its success inspired her to approach the garden from a different angle: food production. That is ultimately where she began, much with the support of the City of Long Beach Parks, Recreation and Marine Department, searching for properties. And it took her four years to finally settle in on and make what is now known as Farm Lot 59. Just one-sixth of an acre, the Farm Lot 59 property sits behind a tiny hill and truly feels like another world with its rows of hand-toiled produce and flowers, alongside the clucking chickens. That won’t change. Farm Lot 59 is located at 2714 California Ave.